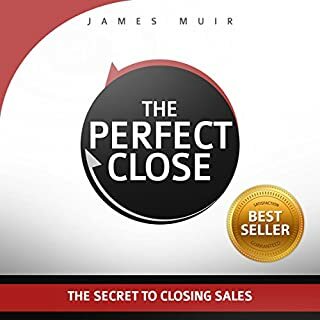 Why you must get Always Be Closing: Top Sales People's Training Techniques and Strategies to Learn How to Perfect the Art of Selling to Anyone in Order to Get More Customers, Receive More Referrals and Earn More Money audiobook to help you with your business, social skills, and personal life, right now! You are guaranteed to see a dramatic increase in your social skills and your sales training, that will guarantee to help you make more money and get rich. 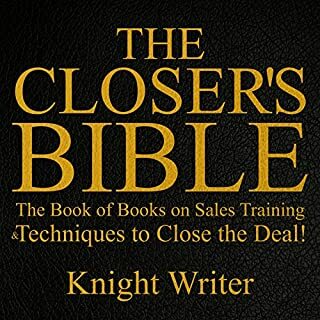 The Always Be Closing sales strategies are proven to work in any sales environments, and outside of the sales environment, because it turns you into a giver. The more you give the more you receive. Omid Kazravan has been training on his interpersonal skills since he was extremely young, constantly practicing and refining his communication and interpersonal skills. The most requested topic from other professionals is "How do I sell more, without coming off as needy?!" 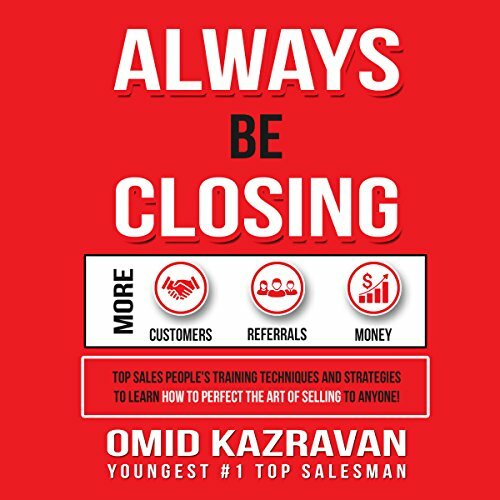 Omid Kazravan went ahead and wrote Always Be Closing: Top Sales People's Training Techniques and Strategies to Learn How to Perfect the Art of Selling to Anyone in Order to Get More Customers, Receive More Referrals and Earn More Money, to solve that answer. 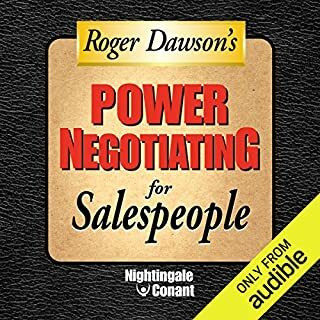 When you get this audiobook, you will be learning from one of America's youngest top salesman, to quickly and easily create win-win situations, using excellent interpersonal and negotiations skills without feeling pushy, because you'll be developing your people skills through this training program. There are a lot of audiobooks out there that teach you how to become a better salesman, and make extra money. 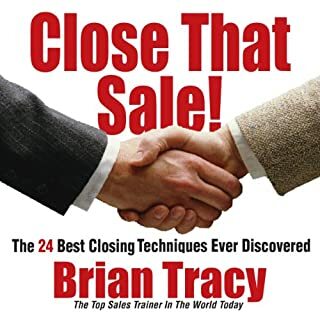 The thing that makes Always Be Closing: Top Sales People's Training Techniques and Strategies to Learn How to Perfect the Art of Selling to Anyone in Order to Get More Customers, Receive More Referrals and Earn More Money, stand out, is the fact that we have taken a whole new approach to the field. A proven new training program that sales executives love. There is also a special chapter in this audiobook that is geared towards helping you remember everyone's names and faces upon meeting them. In How to Win and Influence People, Dale Carnegie says, "Remember that a person's name is to that person, the sweetest and most important sound in any language." The first step in improving your communication skills and people skills, is to be able to build a rapport with the people that you want to talk to. What better way to build rapport than to be able to remember that person's name, and call them out by it a month a later. Do you think that they will be more open to communicating with you if they knew that you cared enough about them to take the time, and remember their name? This book helped me identify flaws in my interactions with both my clients, and within my inner monologue. This book is raw, unfiltered and to the point. I highly recommend this to anyone who is trying to better themselves. It had some good points, but nothing new. Some of the language he used was not real professional. Had great info not just on sales but for life as well. The only issue is that when they did the editing it skips over some bits and sounds kind of funky in some spots. I feel I learned a lot and ready to use what I learned and make it happen. Great lessons to use immediately. Love that he did not share secrets or "silver bullets" to sales. I very very rarley give reviews but felt i need to on this book. I did not purchase a book of learning so I could listen to profanity. I found it very unprofessional and immediately turned me off to the author / narrator. Would definitely not purchase again and will request a refund. Amazing book! Highly recommend to anybody in sales! This has to be one of my favorite sales books. It is short and to the point. It has a lot of great content that is applicable to someone in sales. I have been taking a lot of the suggestions and seen an increase in my closing rate! This audio book did not do it for me. This book was poorly recorded, lots of pops and an annoying echo not to mention birds tweeting in the background, please use a pop filter and some sound absorption materials at the minimum. This book is aimed at the first time car salesman, I didn't gain anything from this book at all. 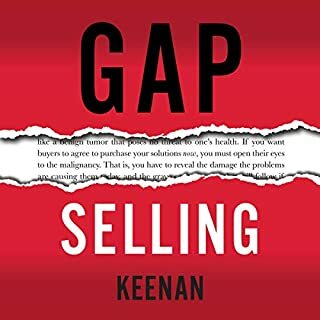 I sell in a competitive B2B marketplace and was looking for inspiration, however all I got from this book was smile, be nice, listen to the customer and you will get the sale, this is not groundbreaking stuff. As for the title! There was nothing in here about closing techniques and strategies. 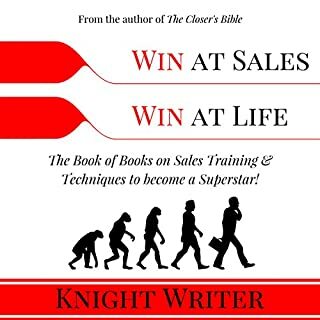 I would not recommend this book, there are so many better sales books out there. 'Fanatical Prospecting' - Jeb Blount, 'Influence' - Robert Cialdini, 'Eat Their Lunch' - Anthony Iannorino are just a few off the top of my head, these are highly recommended sales books. Don't waste your audible credits on this book. Made immense amount of notes listening to this book!! 1 hr 16 mins of PURE GOLD. I have also read Grand Cardone- Sell or be Sold. I feel like it is the same as Sell or be Sold but more CONDENSED! Perfect for those just want to know all the techniques without spending too much time reading/listening !! HIGHLY RECOMMENDED!!! This book was incredible. It taught me how to make relationships with my customers and how to lead others to do the same. Alright, first my hats goes off to the author. Great book, and wake up call to all wanting to become a better person. Definitely "Always Be Closing" has the right twist for anyone journey in life. Listen this book in an and hour and thirty minutes. This book is great inspiration and know how to book. I loved I highly recommend it. Fast listen but quality content that will help you In your sales.